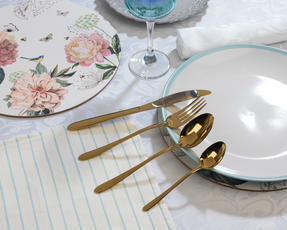 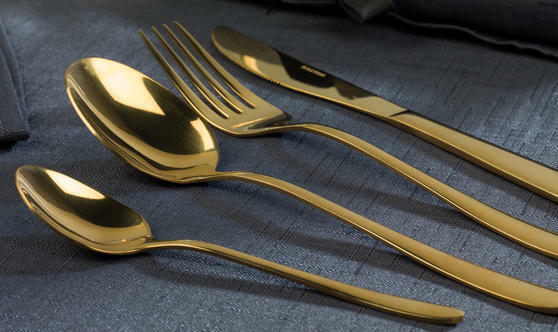 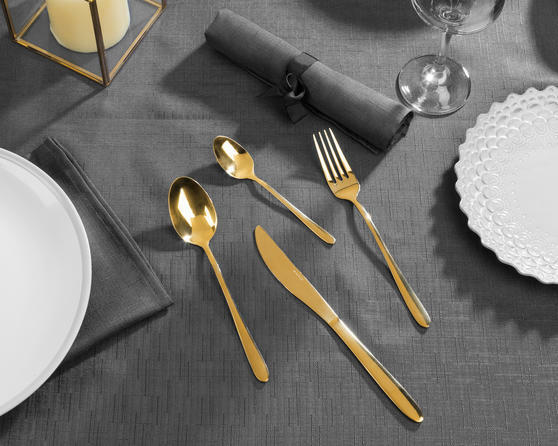 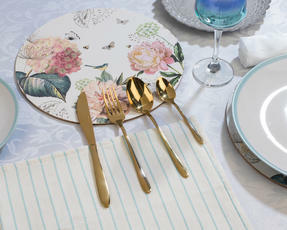 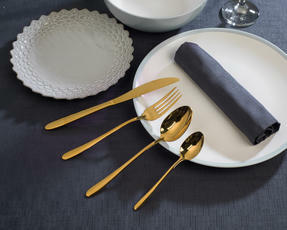 Dine in style with this exquisite Salter Gold cutlery, inspired by classical design and with a unique modern twist. 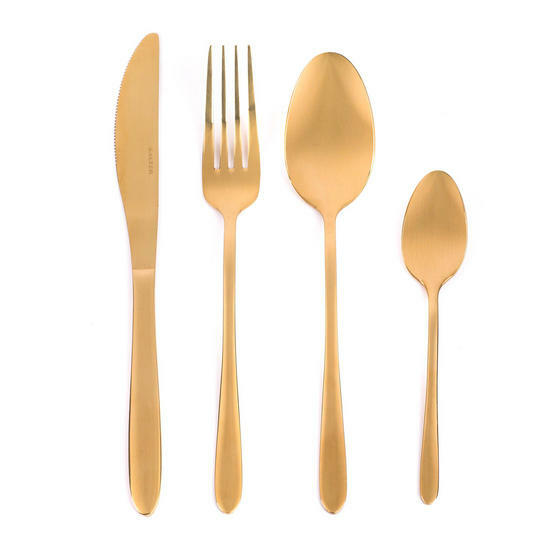 Ideal for creating a distinctive and original dining look, this 16 piece set contains 4 knives, 4 forks, 4 tablespoons and 4 teaspoons made from mirror polished stainless steel with a Gold coating which is guaranteed to impress your guests. Practical and durable, the set is perfect for everyday use while the gorgeous style will refresh and renew your existing tableware. 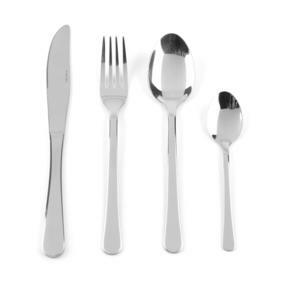 Whether you are starting a collection for a new home or replacing your existing set, this Salter cutlery is a great way to begin. 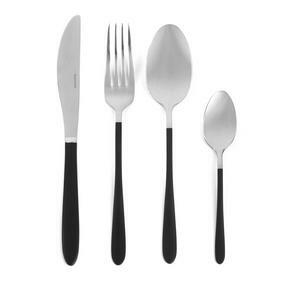 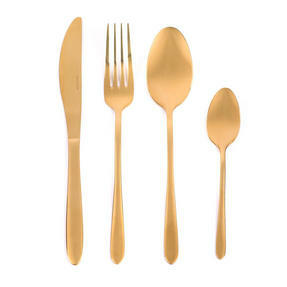 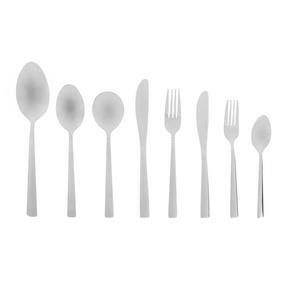 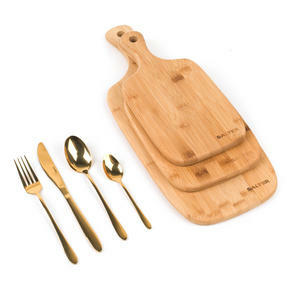 Made from high quality stainless steel with a gold coating, the cutlery is designed to enhance your dining experience. 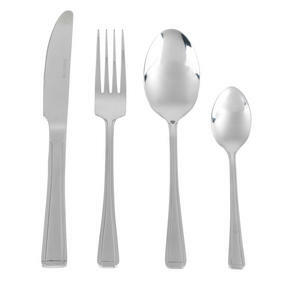 The set contains four forks, four knives, four tablespoons and four teaspoons, making it perfect for inviting friends over. Finely balanced with a pleasant weight, each piece of cutlery is delightful to hold and use, fitting nicely in the hand. 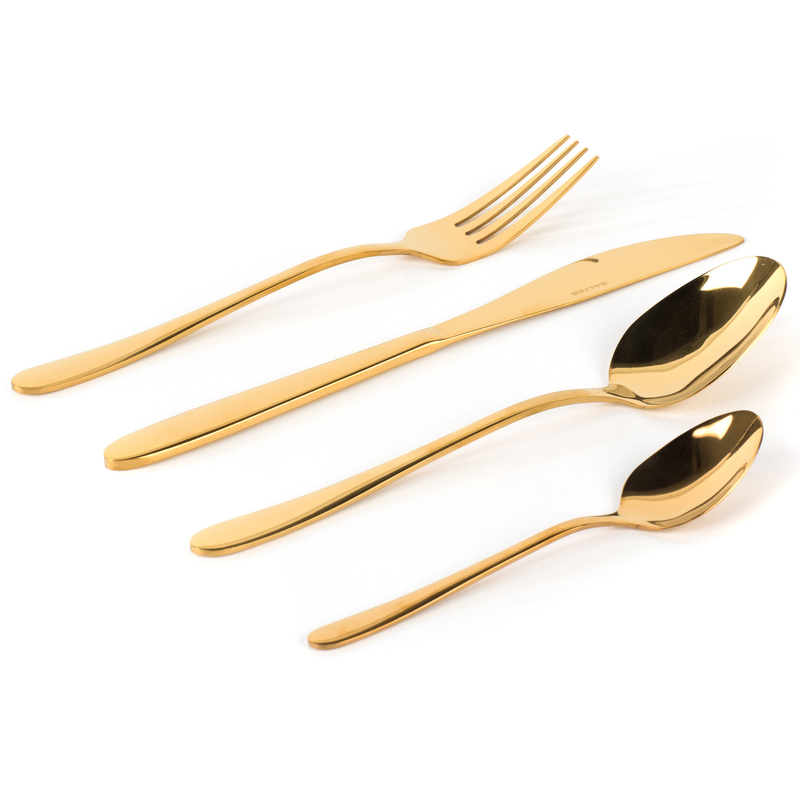 With an eye-catching look, this stunning cutlery will be an excellent addition to the table for a glamorous dinner party.